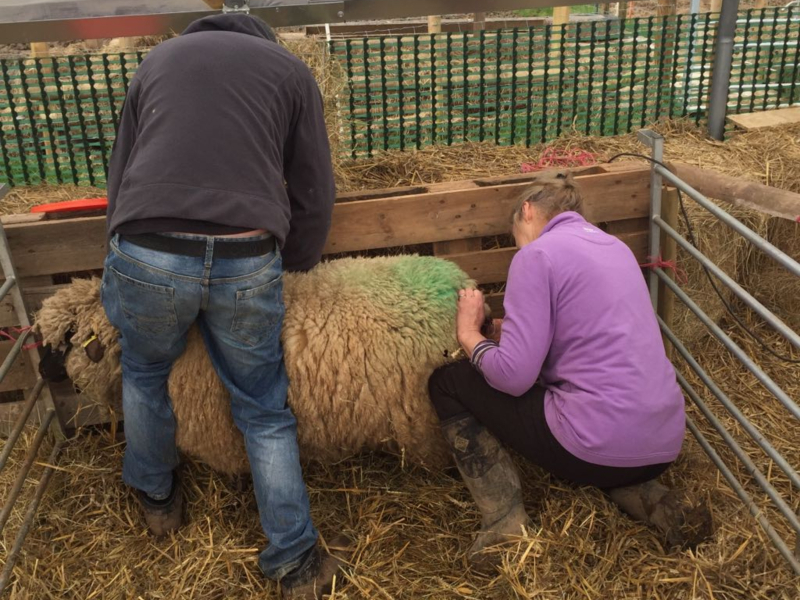 Well, it’s that time of year again; the centre of the sheep breeding year – lambing! 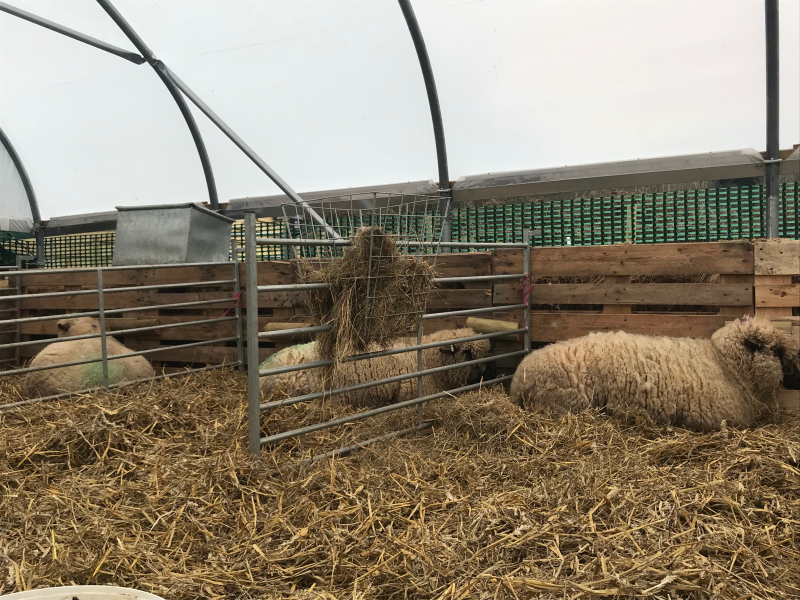 The girls are ready; snug as a bug in a rug under cover in our purpose built agricultural polytunnel. 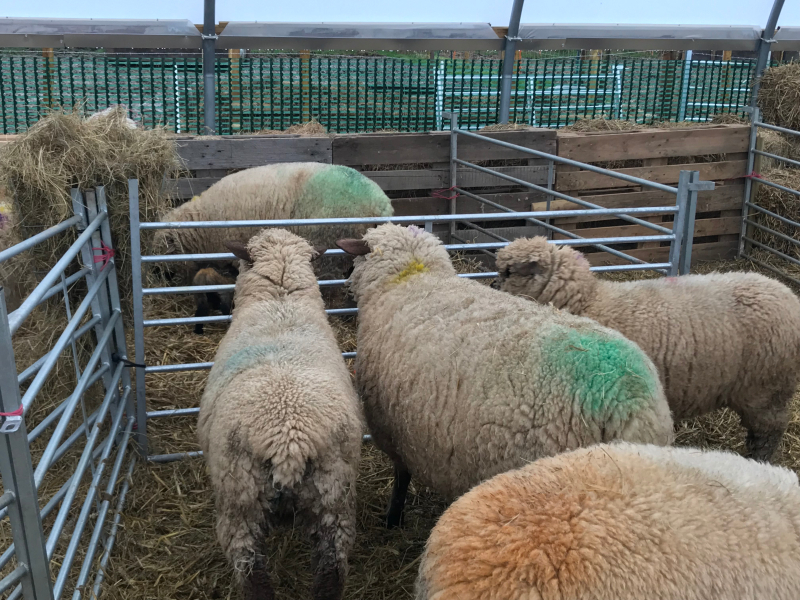 They are feeding on hay, supplemented by twice daily rations of ewe nuts and constant supplies of vitamins by way of lick buckets. 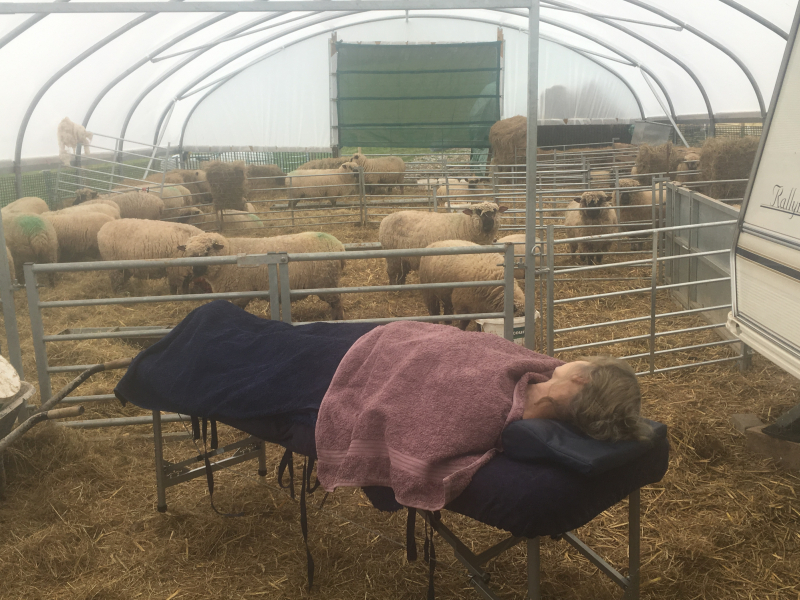 They really are mollycoddled – to the extent that when I needed treatment on my shoulder due to a car accident earlier in the year, it took place in said polytunnel. I couldn’t relax out of sight when there was a risk of imminent labour! 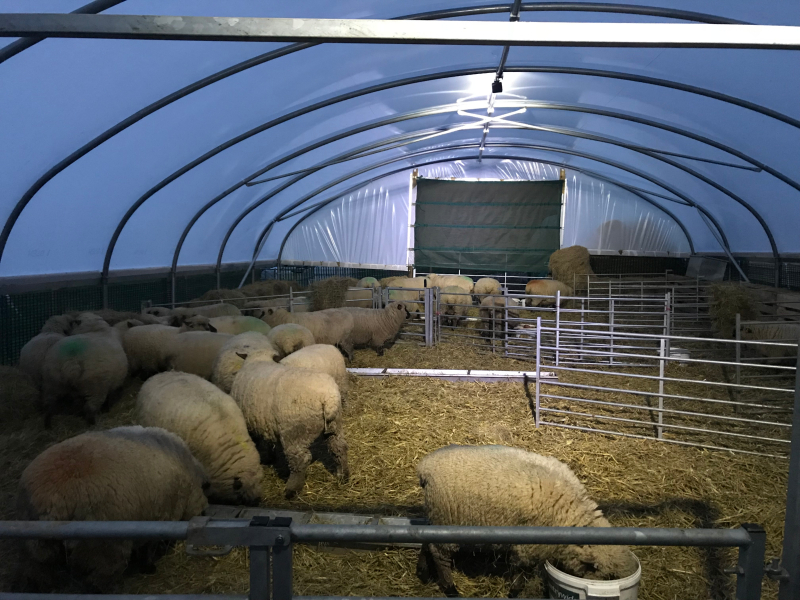 In the nick of time Stuart had installed lighting in the polytunnel as we were sure night time would be popular on the maternity ward. The plan during this waiting period was to catch up on paperwork. 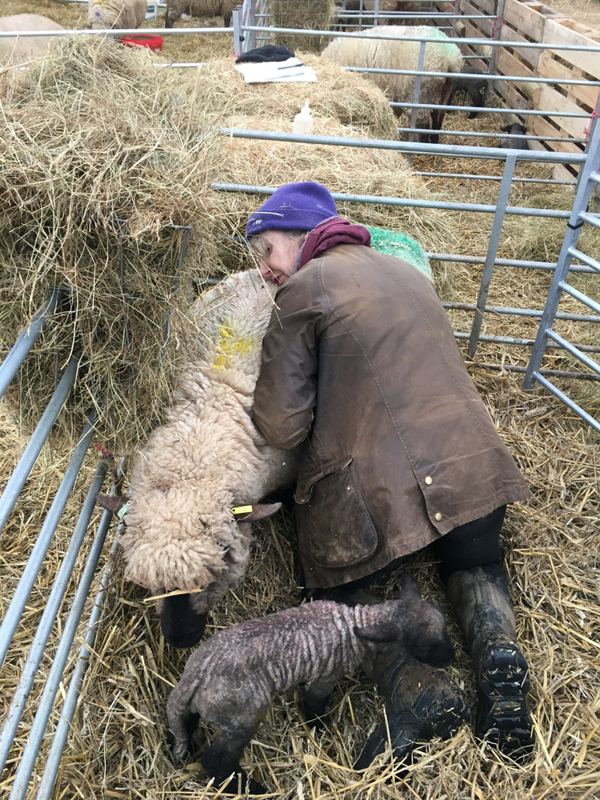 (I actually intended to carry on during lambing…..!) 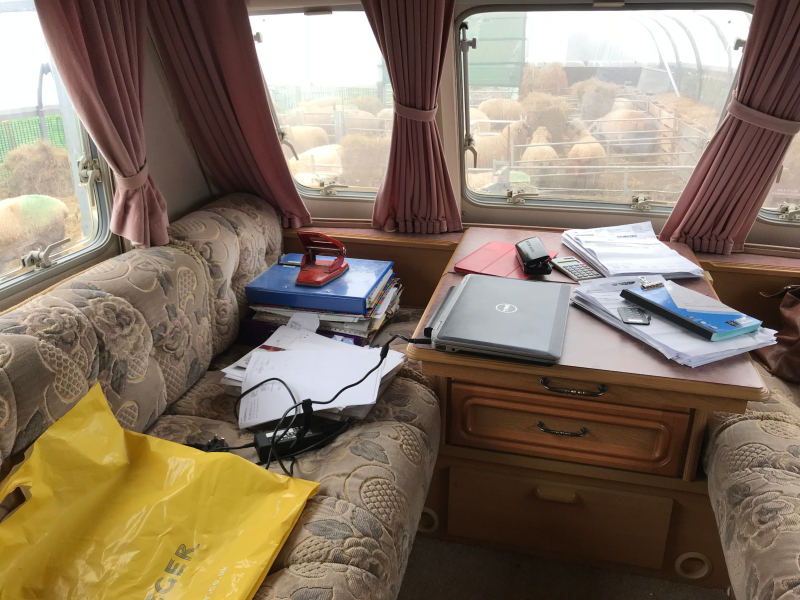 Our lambing caravan was to be home for the foreseeable future and with dongle to hand I was to be Mrs Organised. 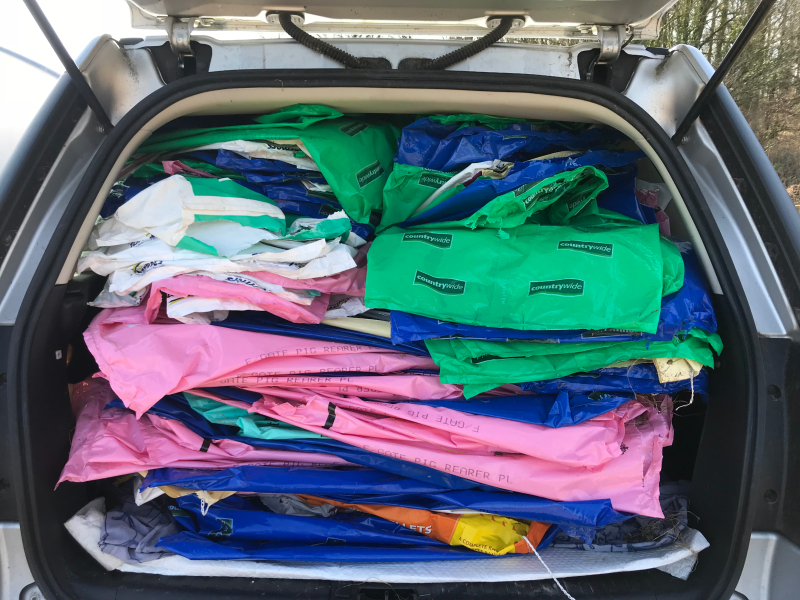 I was also a tad behind on sorting out feed bags that seemed to have grown into an unruly pile; I had to get on top of this too so that I could update our feed records – this all formed part of my plan. What is it they say about best laid plans?! The pre-lambing behaviour of the ewes does make me smile. Pens are set up ready for them but as you will see they are open for the ewes to come and go as they please. However, they choose their spot, often with much tussling, their natural nesting instinct kicking in before they settle down for the job at hand. 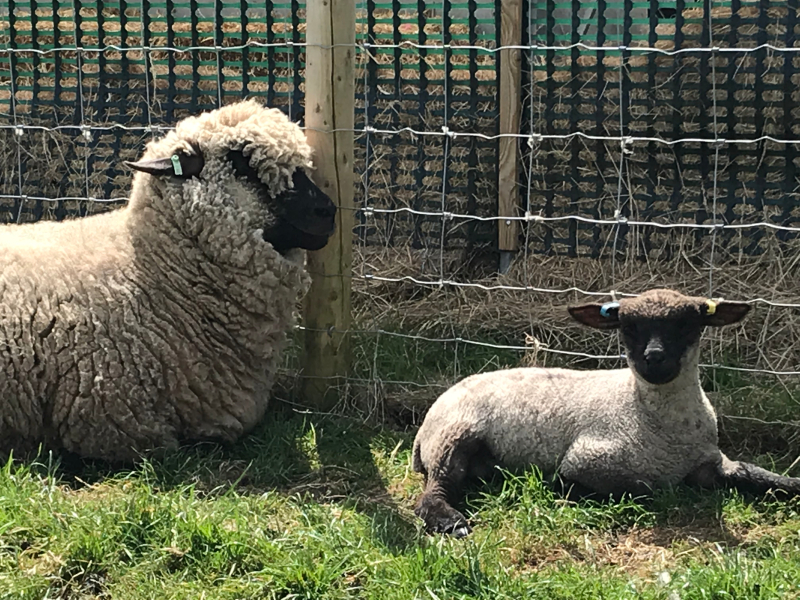 Once lambing starts the pen is closed for privacy – it is not unknown for ewes that have not yet lambed to steal someone else’s new born! And all this getting up, sitting down, getting up again, and again… and again… pawing at the ground, circling, not to mention straining and lip curling, is all rather a lot of hard work! 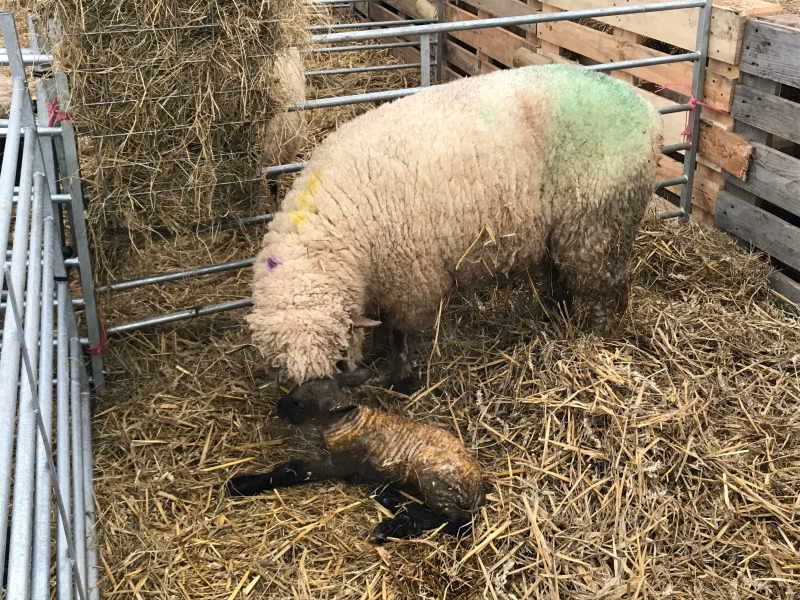 Lamb number one – a single from a first time mummy. It wasn’t particularly straight forward; as any first time human mummy will know it can be a strenuous activity this giving birth malarkey, but with a little assistance, hey presto! 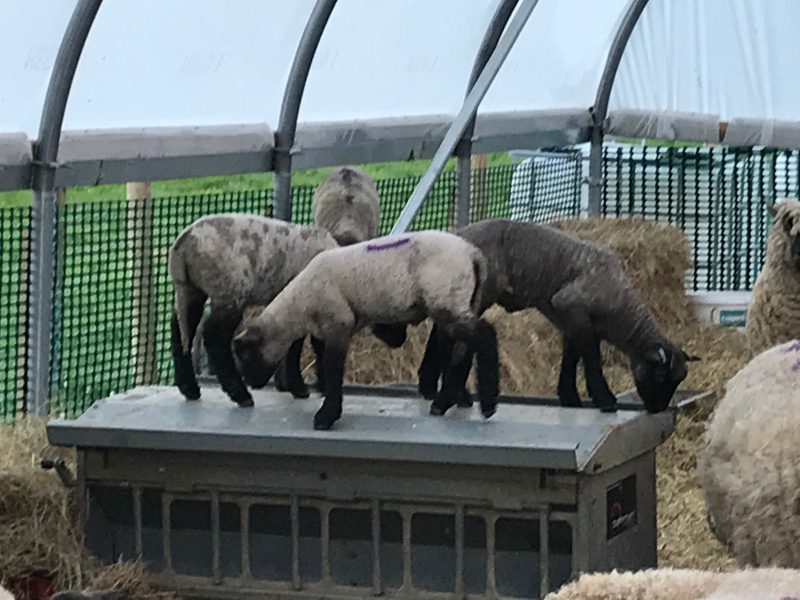 It never ceases to amaze me how quickly lambs are up on their feet; with a little encouragement from mummy it is usually only a matter of minutes before they have found where their feed comes from. 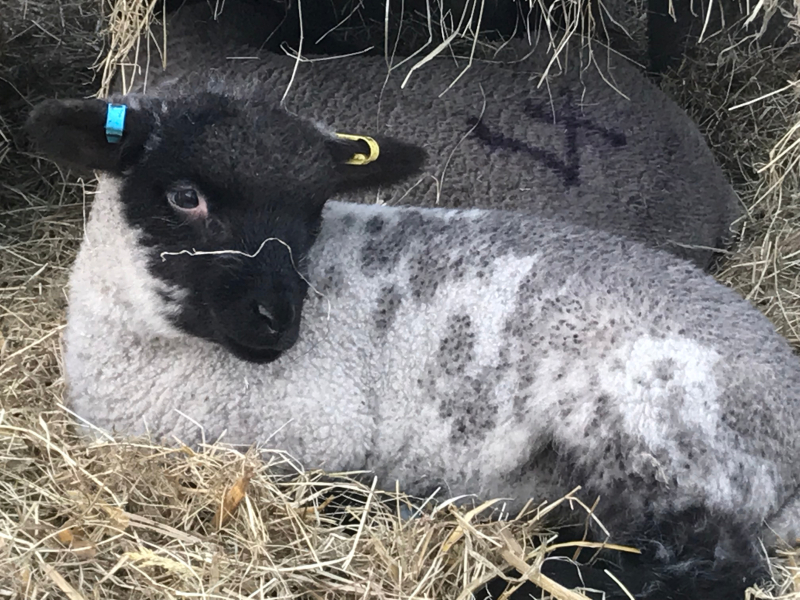 This first milk, called colostrum, is essential and one of the most important times in a lamb’s life. It is crucial that they receive 10% of their body weight in colostrum within 24 hours of birth. 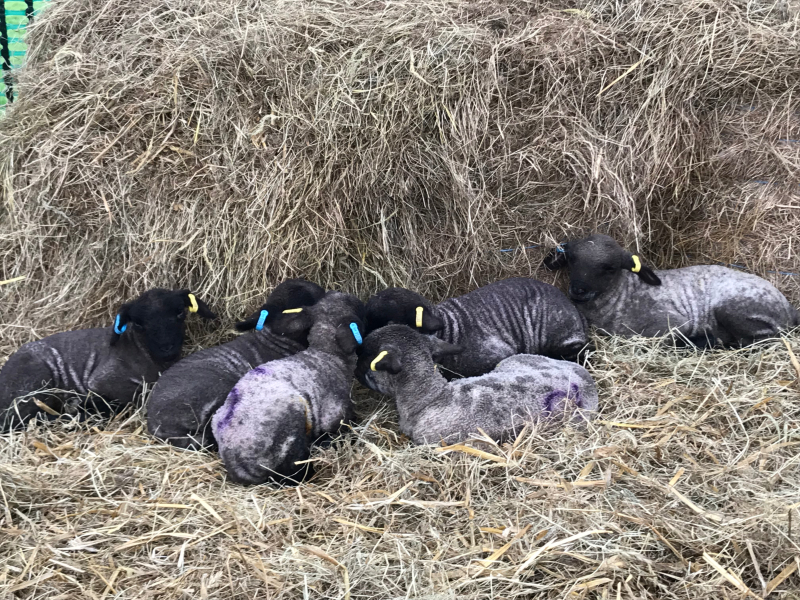 Critically, they should receive a large amount of colostrum as soon as possible after birth as it provides the lamb with energy to protect it from the cold, it’s natural resources only provide a short and immediate source of energy. 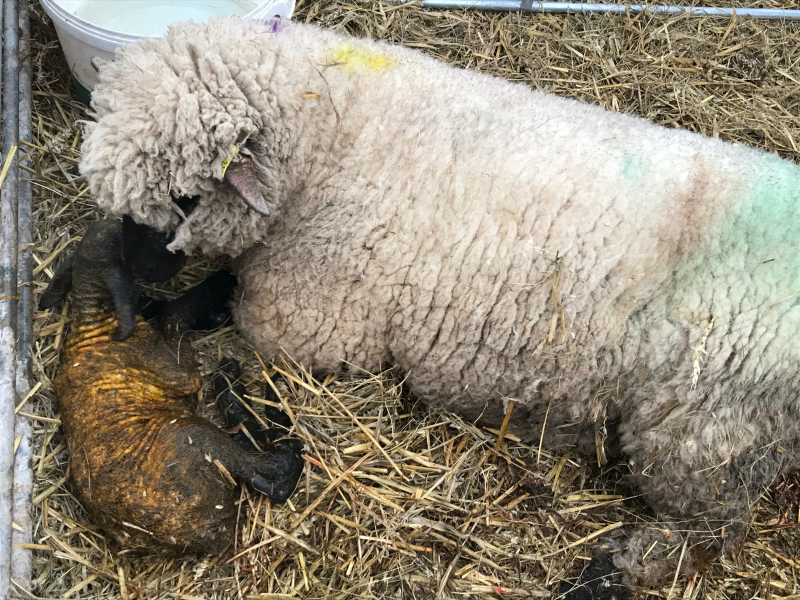 Colostrum also provides the lamb with antibodies against diseases which the ewe may have encountered; the ewe will have been vaccinated against disease but the benefit to her newly born lamb is limited to 18 hours at best. You recall I said earlier it is not unusual for lambs to be stolen? Well, a newly born lamb also creates a sense of interest and amusement for those “hanging around”. You can almost read their minds…. 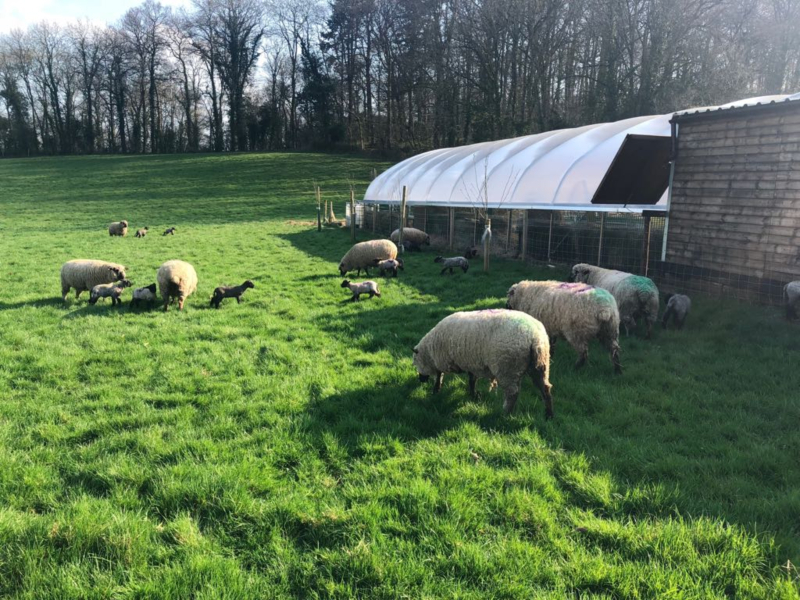 And the lambs kept on coming and coming…. The mummies were very considerate and took it in turns…. but predominately during the night! One after the other. 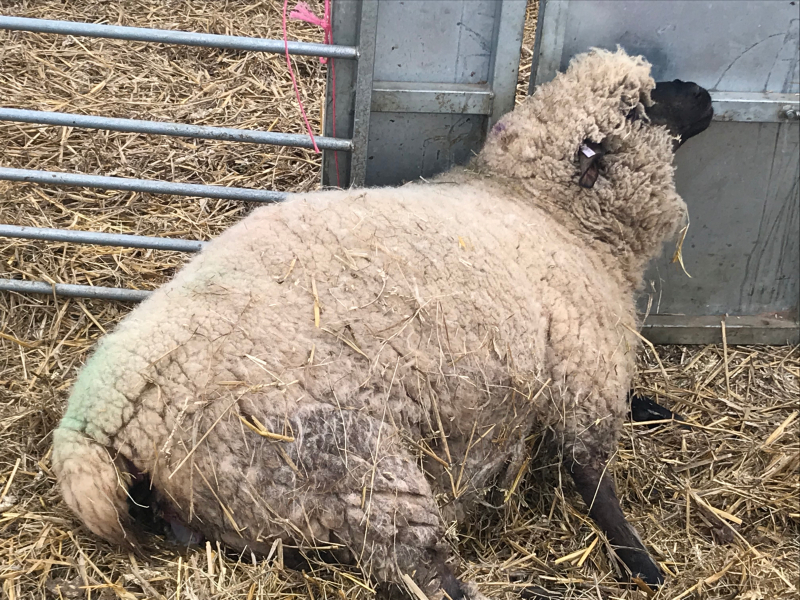 Tiredness really does take on a totally new meaning during lambing, but you just keep going – it’s probably not until it’s all over that it really hits you.. That and the stone in weight lost during the six week period! Sadly, lambing is not all plain sailing. We had a lot of first time mummies who really didn’t have a clue. They loved their babies soooo much they just wouldn’t stand still to let them feed. It was a job and a half to get the babies latched on. 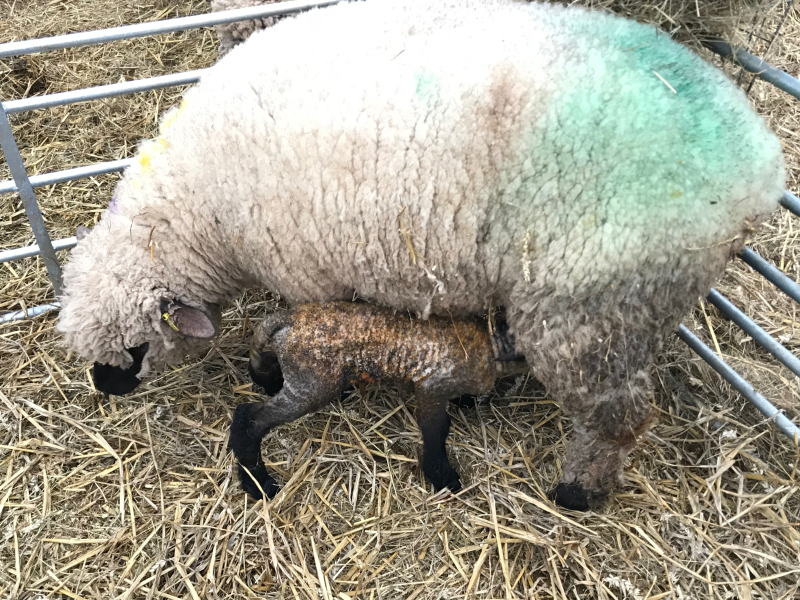 Some ewes needed help too – the hardest one being a ewe who tried to deliver her lamb with just the head and one leg presenting. 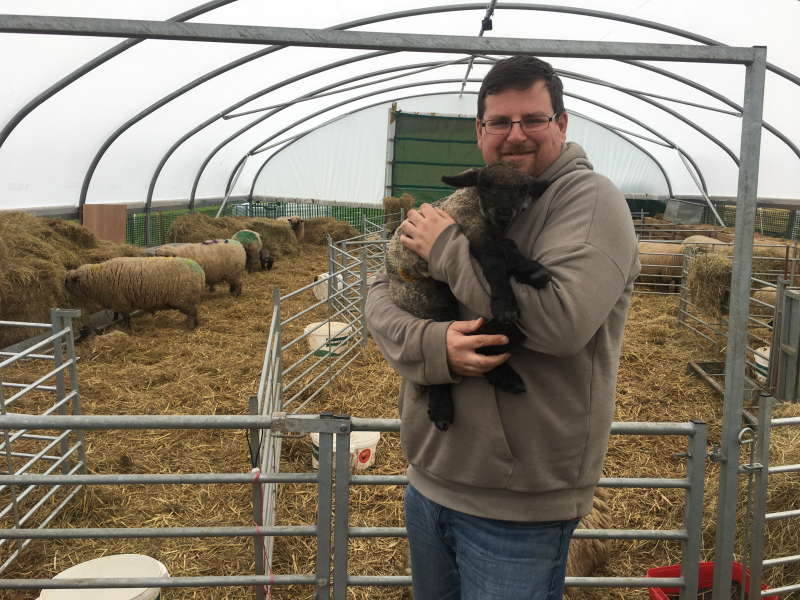 It’s not easy pushing a lamb back into the womb with the ewe contracting to push the lamb out! 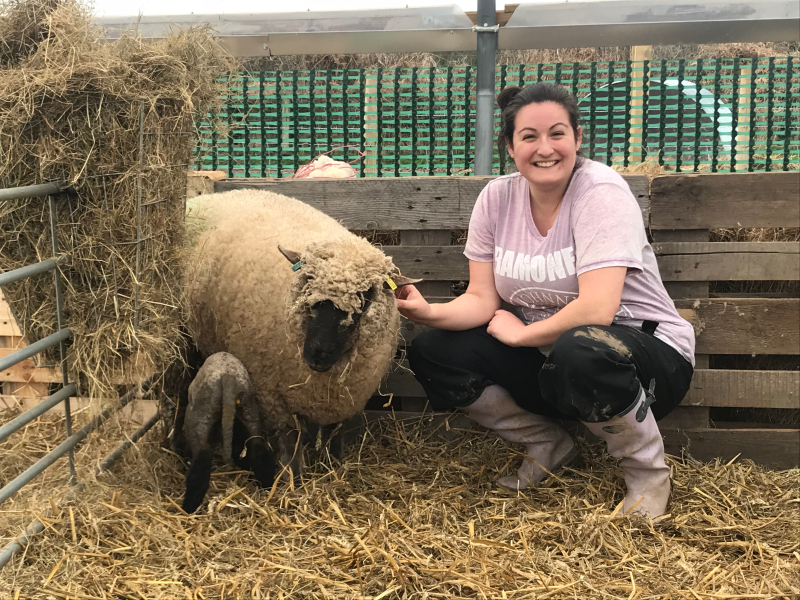 It’s necessary to push the lamb right back in so that you can find the other leg, bring it forward and safely deliver – there simply isn’t room in the birth canal. There’s no time to get veterinary help – you just have to cope. The wet weather caused some problems too in terms of respiratory illnesses. 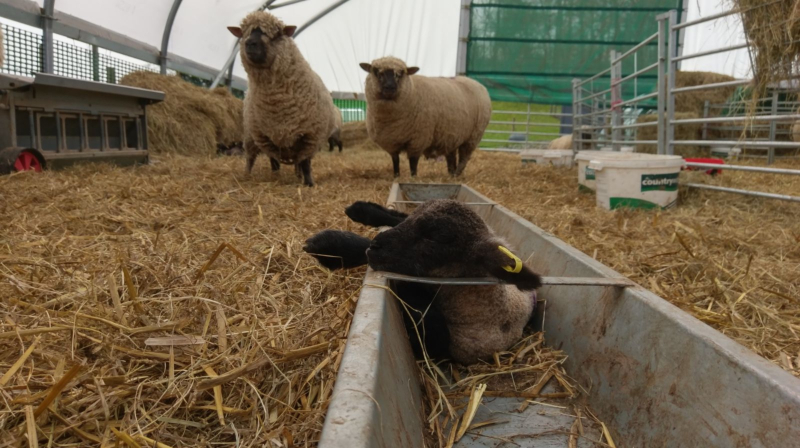 Lambs can easily succumb to respiratory problems and very quickly. 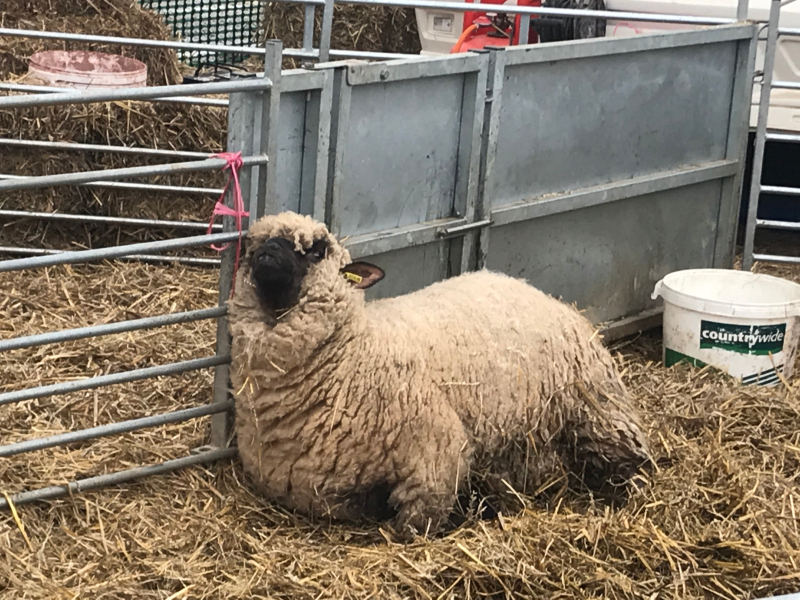 Particularly as lambing goes on and germs start to build up in the lambing shed however good your husbandry, it’s just inevitable. Let’s just say that at one point, I felt like we had a dedicated hotline to our veterinary practice. 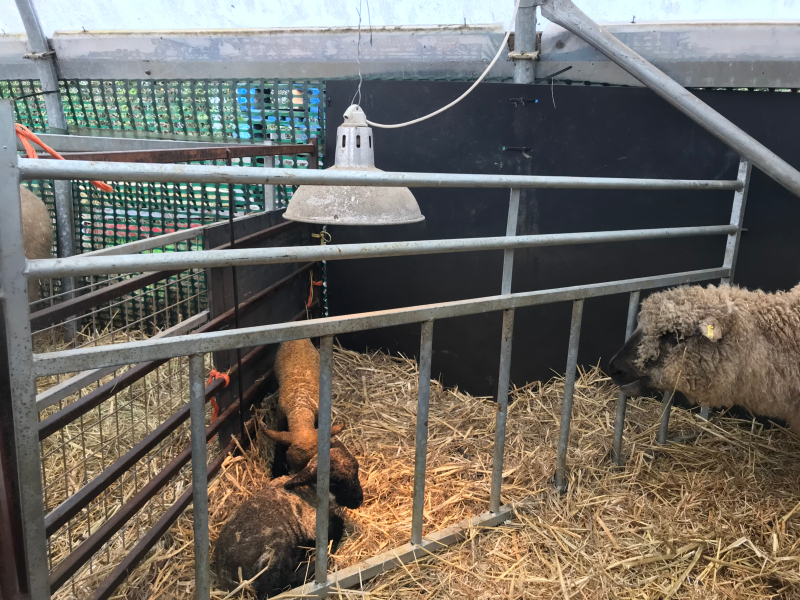 We didn’t need any help with the lambing itself but had we not been on the ball and if it had not been for clinical intervention in early course, we would have lost at least five of our lambs. Heat lamps and lots of caravan cuddles were in order too. Going this extra mile is the core of everything we do. Time to stretch their legs! As the odd ray of sunshine allowed, we let mummies and babies out to stretch their legs and run off some steam. 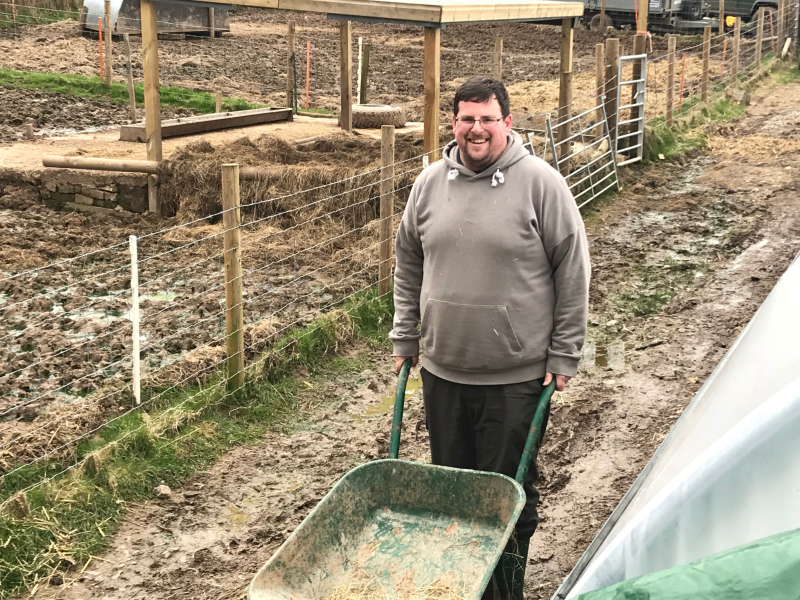 It’s not much fun being cooped up but it allows us to watch over our expectant mums, as well as our new mums and babies, with the added benefit of keeping Mr Fox at bay. 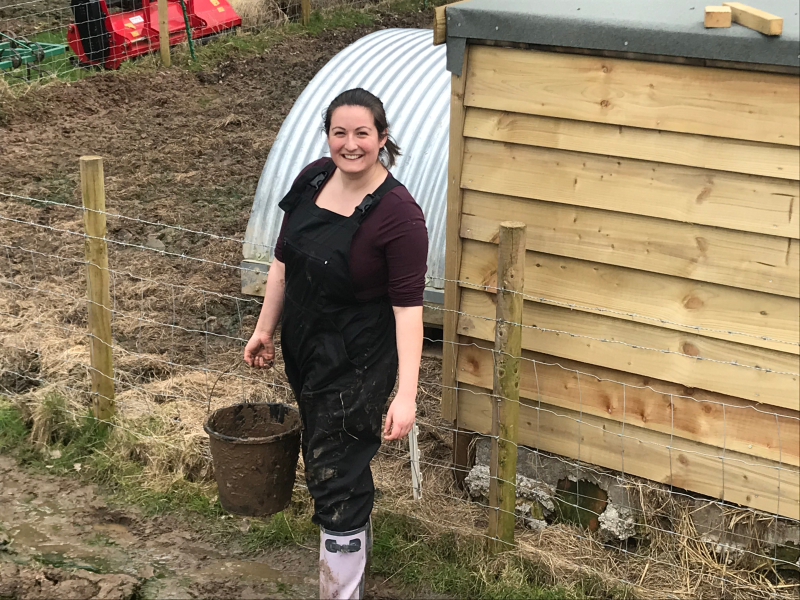 Our girls mean the world to us – call me soft but the thought of them lambing in the pouring rain with their babies laying in wet grass from the minute they enter the world – just fills me with dread. There is so much more I could say, but maybe I should leave that for the content of another blog? I have rabbitted on somewhat. But for now, I’ll leave you with just a few final photographs. 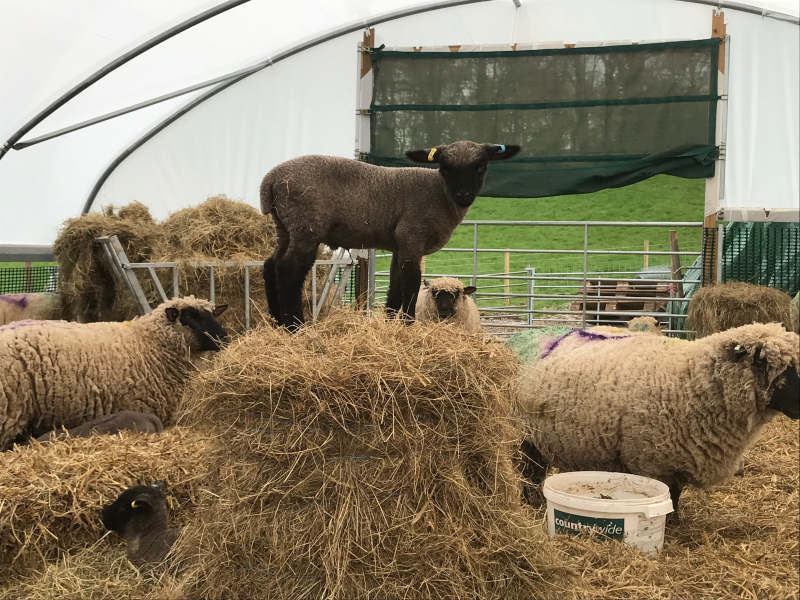 Lambs grow up so fast – while some are still being born, others are leaping around and making friends…. and finding unusual places for a nap! 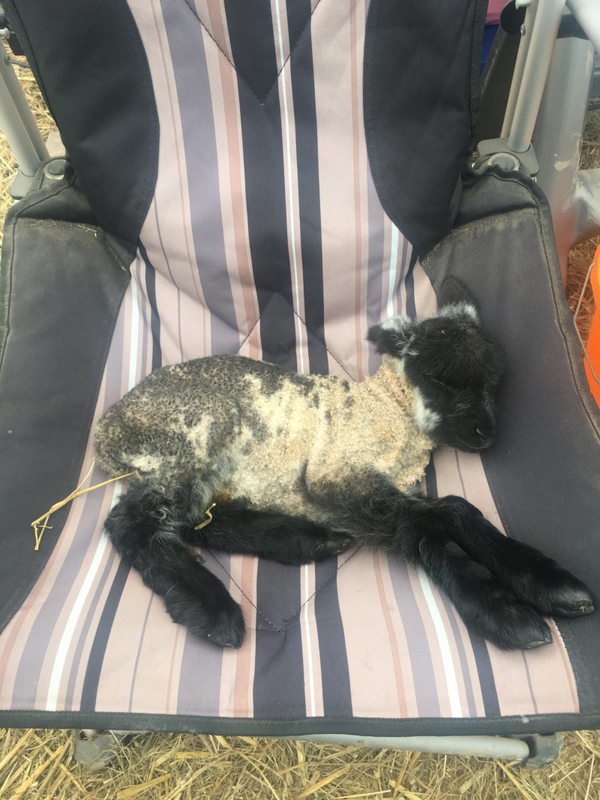 The lamb on the picnic chair shown earlier – ‘Teddy” – is all fit and well. There’s no feeling like it!